Allover yarn: Rose Stitch Free pattern! Row 1: Skip 3ch, work 1dc in each st until you reach at the end of the row. Row 2: 1sc in each st until you reach at the end of the row. Row 3: 1sc in each st until you reach at the end of the row. Row 4: Skip first st, work 1dc in each st until you reach at the end of the row. Row 5: Work 1sc in each of the next 5st *Make 2leaves: 3ch, insert your hook from back to front, into dc of row 1, work 1sc. Make (1sc, 1hdc, 3dc, 1sc) in space of chain of 3. Make 3ch, skip 2st back from first leaf, insert your hook from back to front, into next dc of row 1, work 1sc. Make (1sc, 1hdc, 3dc, 1sc) in space of of chain of 3. Continue the row: Make 1sc in each of next 15 st; repeat from * Make 2 leaves, work 1sc in each of next 4dc, 1sc in third st.
Row 6: Work 1sc in each of next 5st, *Make Rosebud: 12ch, skip 3st from the chain of 12, work 3dc in each of next 9st, 3ch, sl st in last st, turn and roll spiral together from on end, rolling towards the other end. 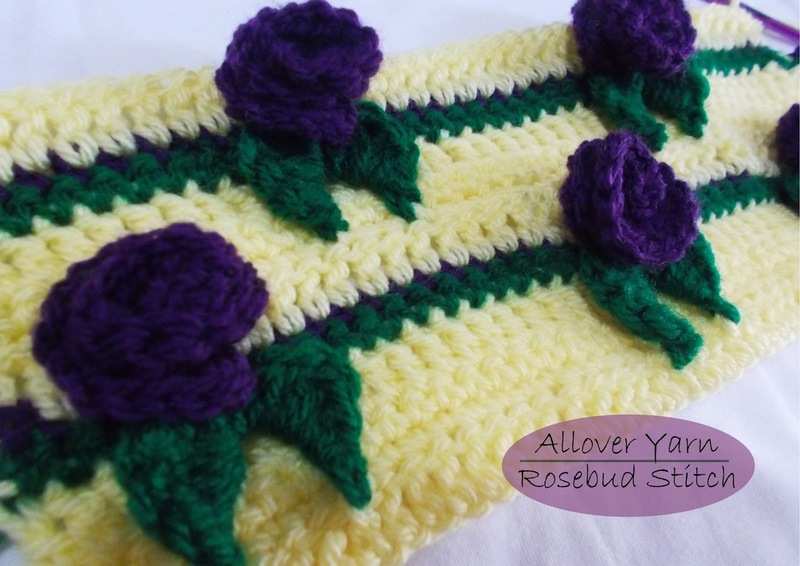 Form strip together into a rosebud shape. Insert your hook through bottom side of rose and sew all layers of flower making sl st. Work 1ch and turn. drop loop from your hook and rotate rosebud one time clockwise. Grab dropped loop and continue work row: Make 1sc in each of next 15 dc; repeat from * make rosebud, 1sc in each of next 5sc below. Row 7: Skip first st, work 1dc in each st until you reach at the end of the row. Row 8: 1sc in each st until you reach at the end of the row. Row 9: 1sc in each st until you reach at the end of the row. Row 10: Skip first st, work 1dc in each st until you reach at the end of the row. Row 11: Work 1sc in each of next 5st, *Make 2leaves, 1sc in each of next 15st; rep from * Make 2 leaves, work 1sc in each of next 12st, 1sc in third st.
Row 12: Work 1sc in each of next 13st, *Make Rosebud, 1sc in each of next 15dc; rep from * make rosebud, 1sc in each of next 12st. Row 13: Skip first st, work 1dc in each st until you reach at the end of the row. 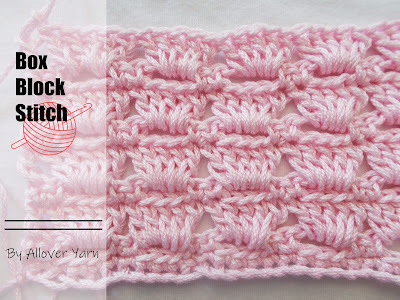 Repeat 2-13 rows until you reach your desired length.